The park enterance will be on your right past Zoomars petting zoo. You can pull up to the flagstone loop to unload. We are not permitted to drive on the flagstones. There will be a dolly available to borrow if you need one. No-one will need to carry anythning more than 75 feet. 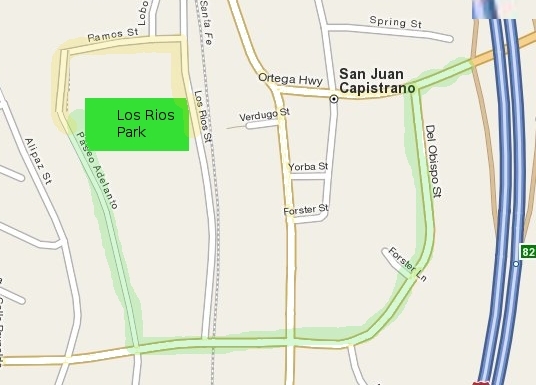 We are no longer permitted to load / unload from the Los Rios street side of the park. PLEASE MOVE YOUR VEHICLE TO THE BACK OF THE PARKING LOT AFTER YOU UNLOAD.